Pre-wedding photo shoots are the hottest trend among the love birds. Looking for Penang Pre-wedding photographer? Contact us anytime for getting the best pre wedding photoshoot in Penang. At Steven Yam Photography, we are offering various type of pre wedding portraits photography services in Penang. We are locally grown “Penang Kia” so we know our cities from bottom up. We are capable to customize your pre wedding experience according to the element you like to have it, and we are capable to take you around to discover hidden gems and experience the local culture as you never try it before. At Steven Yam Photography, We would like to play cupid and create the most amazing love chemistry between the lovebirds and capture the raw sense of emotions in our pictures .We want you to be your true self, relax and enjoy our lovely cities with your loved ones while we are documenting your love. Although we are based in Penang, We also offer our services in difference locations in Malaysia such as Langkawi, Cameron Highland, Pulau Redang, Kota Kinabahru, Semporna etc., and various overseas destinations. Just drop us a email and tell us where you would like your love stories begin . We will try our best to be there and crafted the unique pre wedding and engagement photos that tells your own stories. 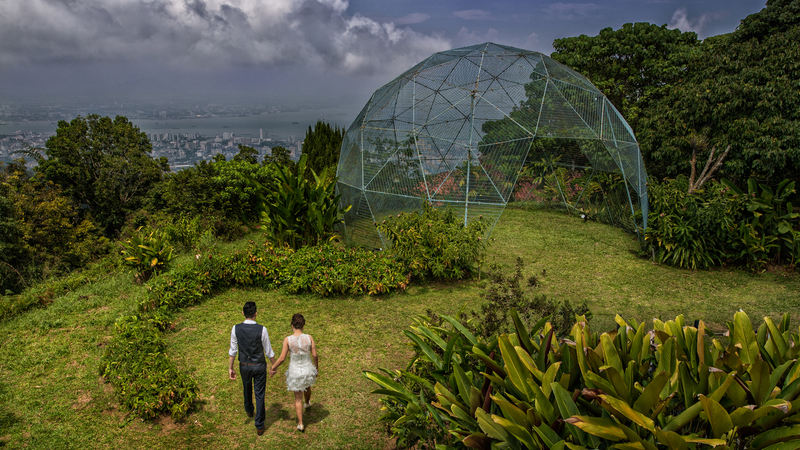 "Love In Penang - Pre Wedding /Engagement "
If You Wish to find out More, Please feel free http://steven-yam.com/contactus. I will arrange special conversation with you and tell you more about this package. "Love In Penang - Casual/Travel "